Toby Veal is an interesting example of how maintaining relationships with players you have recruited before pays off. Both VCU (when Anthony Grant's staff was around) and Shaka Smart (while he was an assistant at Clemson) recruited Veal when he was a highly-touted high school senior with offers to several major colleges. Veal chose to go to Colorado and play for former NBAer Jeff Bdzelik in the Big 12 conference. Upon coming there Veal did not get much playing time and was disappointed with the lack of burn he was getting. Toby also had a child back in Georgia which strained on him as he was across the country in Colorado. This led him to transfer to Northwest Florida State, a junior college in Niceville, Florida last year to be closer to his young family. "I went to play for (Bzdelik) because he coached in the NBA for a long time," Veal said. "I wanted to see how that was, but it didn't work out too good. He said playing time relied on me. I just didn't understand why I wasn't playing because I did everything he told me to do." Veal was named Newcomer of the Year in the Panhandle Conference in which the NWF State Raiders play. 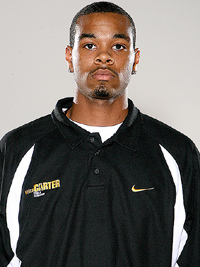 He helped lead the Raiders to a 5th place finish in the NJCAA national tournament. His exploits are all the more impressive considering he had been battling knee injuries for much of the conference season. He is quite explosive athletically and runs the floor well, throwing down dunks on the fast break with authority. Veal is reportedly not a firm commitment as he is still being courted by at least one SEC school. Although Veal had verbally committed in January it appears his recruiting situation is still fluid. According to his junior college coach he will be visiting VCU this week and is expected to commit then. Veal will provide valuable experience with the departure of senior players TJ Gwynn and Kirill Pischallnikov as well as the likely early departure of Larry Sanders to the NBA draft. Veal's bulk and low post moves will be a welcome addition to this recruiting class.